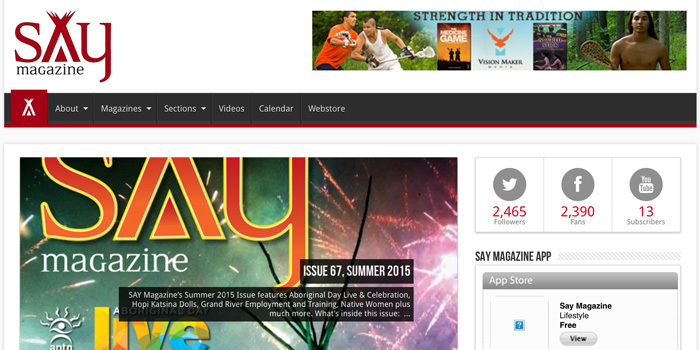 With the largest national lifestyle magazine for and about Native people, SAY Magazine required a website to match. 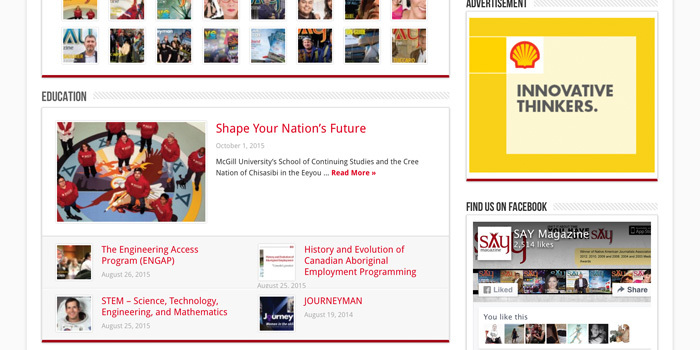 Modern Clan designed a website to organize SAY Magazine’s large library of information and make the site easy to navigate. This website supports the magazine with its rotating ad banners, the ability to buy SAY Magazine’s App, mobile compatibility, and a homepage with the latest from SAY Magazine. Some features of the website are: easy navigation, web store, banner ad system, integrated social media, SAY Magazine App store, music player, video’s, web analytics, event feed, and is mobile compatible.